Kevin Harvick was victorious at Michigan, and in doing so, showed he's already in playoff mode... with three races left in the regular season. 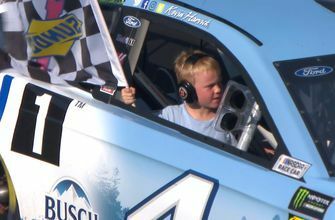 NASCAR Cup Series Highlights: Kevin Harvick wins his seventh race of the year and celebrates with his son Keelan. Keelan Harvick has the celebration of a lifetime after his dad Kevin wins his seventh race of 2018 in Michigan. 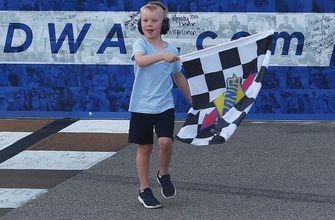 As postrace celebrations go, Sunday's at Michigan is one Kevin Harvick will long remember, after his son, Keelan, got the checkered flag and rode shotgun with him on the way to victory lane. 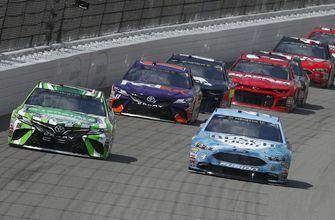 BROOKLYN, Mich. - Kevin Harvick capped off his father-son weekend by dominating a race and putting 6-year-old son Keelan in the passenger seat to hold the flapping, checkered flag out of the window.